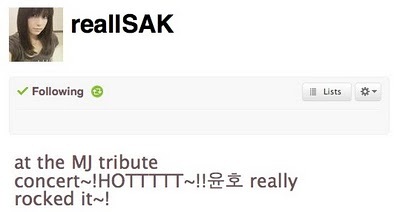 [TRANS] 100602 U-Know Yunho To Still Perform At MJ’s England Tribute Concert? Leader of popular Asia group, TVXQ, U-Know Yunho persists in performing at Michael Jackson’s tribute concert. 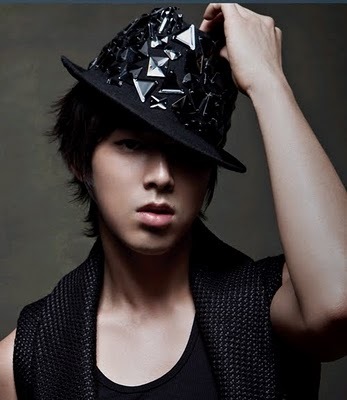 Yunho expressed himself that he will definitely attend Michael Jackson’s tribute concert that has recently been postponed. Originally set to the 8th of June at Wembley Arena, England, the concert had to be indefinitely delayed by the organizers. The question as to whether or not the concert will still commence, and if Yunho, the only representative from Asia invited, will still attend the concert, has caused great concern among fans. Yunho assured that he will continue to practice according to the original schedule while keeping an eye on the latest developments. Being a participant in the concert, Yunho has become a target of interest among fans. Also, people who have had musical connections with Michael Jackson will also be attending the concert. Regarding this time’s performance, Yunho feels that it is truly significant because Michael Jackson is his idol and he will be standing on the same stage as some of the world’s top celebrities. Because of this, Yunho expressed that even if he had to arrange around his other schedules, he would still attend the concert. In the past 3 months, Yunho completed several passionate performances on the tribute concert stage. Although there were slight problems, he still left fans with a very deep impression. Performing ‘Beat it’, ‘Smooth Criminal’, ‘They Don’t Really Care About’, ‘Jam’, and “Thriller’, he perfectly digested the songs and showed off a magnificent stage. Yunho will also prepare well for this time’s performance. Michael NEVER CAN SAY GOODBYE ・ Yunho Jackson Memorial Concert! Last year’s June ‘Star of The Sky’ legendary pop star Michael Jackson passed away ・ On March 27th and 28th for both days Michael Jackson memorial concert was held at War Yongsan War Memorial Square of Peace. Though this moment, it feels as if Michael was still alive. TVXQ Yunho had a glittering performances to resemble Jackson. High Cut collected vivid sketches of both rehearsal and actual performances. Publishing over 6 pages of Yunho sketches on Jackson memorial concert. ‘A Tribute band from Michael Jackson’s THIS IS IT movie and U-Know Live’ kicked off on 27 March at Yongsan’s War Memorial Hall, held in memory of the King of Pop, Michael Jackson (1958-2009). Fifteen of Michael Jackson’s most popular songs were performed at this concert, which lasted for about 1 hour and 30 minutes. TVXQ’s U-know Yunho, as the main performer for this concert, attracted a lot of audience, who were extremely enthusiastic in welcoming Yunho. Tony Terry and Van Johnson were also present on stage as lead performers. The music performed at the concert not only brought up your memories of Michael Jackson, but Yunho’s dancing and image – the full package – allowed you to immerse into the wonderful atmosphere at the concert. The opening song was ‘Beat It’, a song that was part of Michael Jackson’s explosive album ‘Thriller’, released in 1982. U-know Yunho flew up from the bottom and handsomely appeared onstage, and despite the freezing cold, he displayed extraordinary dance skills. Following this, Terry and Johnson also performed ‘Working Day And Night’ and ‘Rock with You’, both from the album ‘Off the Wall’, released in 1979. Other songs like ‘Pretty Young Thing’, ‘Remember the Time’ and ‘Human Nature’ were also performed, allowing everyone to sink into memories of Michael Jackson. After that, U-know Yunho made his reappearance onstage and performed ‘Smooth Criminal’, which was part of the ‘BAD’ album, released in 1987. He displayed even more passion that the opening performance and garnered more enthusiastic cheers from the fans. Subsequently, U-know Yunho also performed ‘They don’t really care about us’ and ‘JAM’, and Yunho displayed a stage charm that was different from the other performances he did as part of TVXQ previously, giving a perfect performance. Yunho, Terry and Johnson performed ‘Thriller’ together and brought the concert to a close. On the 27th, U-know Yunho’s member, TVXQ’s Changmin and SHINee’s Minho watched the concert together. On the 28th, ‘A Tribute band from Michael Jackson’s THIS IS IT movie and U-Know Live’ will once more be held at the same venue. ‘A Tribute’ band from Michael Jackson’s THIS IS IT movie and U-Know Live’ which is held at Yongsan War Memorial Square is a tribute concert to reminicent the death of King of Pop Michael Jackson (1958 – 2009) in June last year. 15 of Jackson’s hits were unfolded in the concert that was lasted for 1 hour and 30 minutes. TVXQ’ U-Know Yunho (24) took the lead vocal for the concert and all 2000 audiences showed enthusiasm to his brilliant debut. Tony Terry and Van Johnsons were the other vocalists appearing, and not only the songs which would reminiscent you to Michael Jackson, but U-Know Yunho’s dance and stage costumes were all focused to give Jackson vibe throughout the concert. The opening concert songs were taken from one of Jackson’s best selling album ‘Thriller’ that was released in 1982. The song was ‘Beat It’. U-Know Yunho popped out from under the stage, and despite the highly cold weather, he showed off his magnificent dancing skill. ‘PYT (Pretty Young Thing)’, ‘Remember The Time’, ‘Human Nature’ were performed with a live band and by listening to them the memories of Jackson’s hits were given a strong holds in our mind. U-Know Yunho appeared again on stage to sing a song from 1987 Jackson’s release ‘Bad’, ‘Smooth Criminal’. U-Know Yunh showed a passionate Michael Jackson performances and being compared to the opening stage, the fans cheering was even hotter. When Terry sang a song that belongs to the brother group Jackson Five, ‘Never Can Say Goodbye’, during the call he said, “Michael I love you. I never can say goodbye.” turning the fans in screams. Eventhough Michael Jackson was not physically exist anymore, but his name and music still bring a big effect. After some spare moments, U-Know Yunho appeared to sing ‘They Don’t Really Care About Us’ and ‘Jam’, the stages gave a different manifestation in Jackson respect. Yunho showed a different charisma that one he showed during TVXQ performance and his skill was flawless. Yunho, Terry, and Johnson finished the stage with encore song ‘Thriller’ whose music video was the first to be registered in United States National Movie book. U-Know Yunho’s mates from the same label company TVXQ Changmin as well as SHINEE’s Minho did appear and attracted many attention. 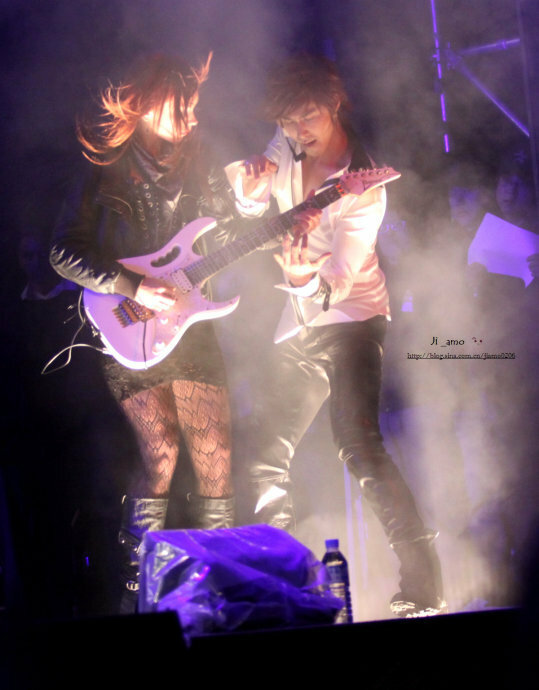 The concert was delayed for more than 1 hour and 10 minutes, leaving the 2000 audiences trembled in cold and frowned. ‘A Tribute’ band from Michael Jackson’s THIS IS IT movie and U-Know Live’ will take another stage tomorrow on 28th and be held at the same place. 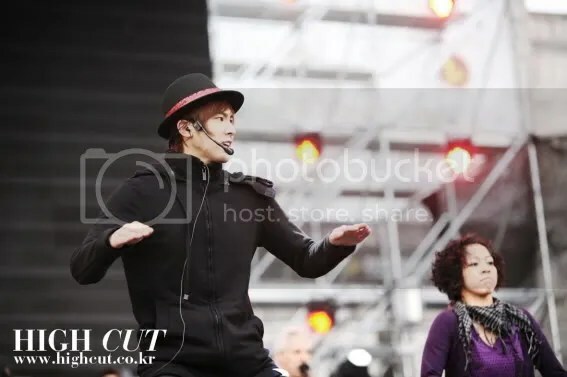 TVXQ’s U-Know Yunho had his appearance in Michael Jackson tribute concert ‘A Tribute’ band from Michael Jackson’s THIS IS IT movie and U-Know Live’ held at Yongsan War Memorial Square today on the 27th. The venue was filled with approximately 2000 people. Japanese, Chinese, and Korean fans were all anticipating the concert which was supposed to start at 6pm. At 7:10 U-Know Yunho climbed up the stage with the track ‘Beat It’ and welcomed the whole 2000 fans. The performance was highly influenced by one in Michael Jackson’s last movie ‘This Is It’, however U-Know Yunho showed up his own dance style while was dancing to Michael Jackson’s routines. However, due to the lack of preparation, there were some significant inconvenience missing in the whole concert. From the scheduled performance that was supposedly started at 6pm for approximately 2 hours, the actual concert was delayed for 1 hour and 10 minutes and only started at 7:10 pm. An official said, “The concert had been delayed due to mechanical inspection.” he asked for audiences’ patience. With most of the audiences were standing, they needed to wait for the stage to be prepared. 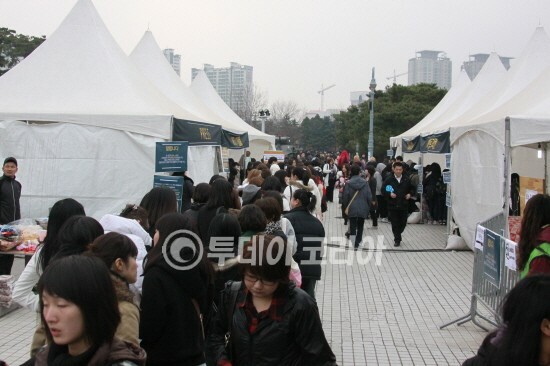 Above all, the R area that costs 110,000 won and S area that costs 99,000 won are considered expensive tickets. Whether this concert could be seen worth for all those costs, we should reconsider again. The vocalists, including U-Know Yunho were Van Johnson, and Toni Terry. With their involvement, this concert had been expected to be a concert with 100 points of vocals. The production team of Ken Stacey was directly chosen by Michael Jackson and was introduced as ‘This Is It’ band, he was an active backing vocal in United States, however seems that this Michael Jackson’s tribute concert had been overvalued. Ken Stacey as well as Richard Marx worked as Michael Jackson’s backing vocals. But seems that they just received the high praise only because they participated in Michael Jackson’s concerts. The power of the performance was disappointing. It was Michael Jackson’s song, but we could feel that the singing power was limited. Ken Stacey’s skill doesn’t reach U-Know Yunho well. In the end this memorial concert was said to be just U-Know Yunho 100,000 won concert. U-Know Yunho is expected to attend Michael Jackson’s tribute concert at London’s Wembley Arena at June 8th (local time), and be the only Asian artist on the show. The concert is a charity event – Jermaine Jackson Charity – and will be held at the Wembley Stadium in London (80,000 tickets to be sold). But for those who won’t have the opportunity to attend that Michael Jackson memorial concert, don’t worry, you’ll be able to watch Yunho live on TV. Indeed, “Michael Jackson Tribute” show will be broadcast (live) all around the world.